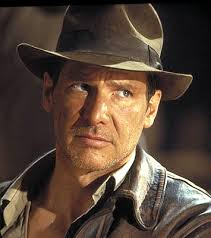 Background: Indiana Jones is big-time adventurer who searches the world for priceless artifacts. On the other hand, he also makes sure those artifacts do not fall into the wrong hands. Though it is never known if he had any official, active duty, Indi is definitely apart of the Greatest Generation. He battled rogue Nazi's and Soviet Psychic agents in order to keep powerful pieces out of evil's hands. He has proven that he can hold his own in hand-to-hand combat. He is also a very good marksman and he loves his whip!